The Hollywood Vampires top this week’s hennemusic Hot 10. 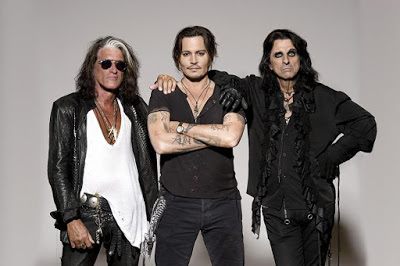 Led by the trio of Alice Cooper, Johnny Depp and Aerosmith’s Joe Perry, the supergroup have announced a handful of North American shows this spring. Read all about it and check out the tour dates in this week’s top story!